Ovation Award-winning play, "Watching OJ". With actress Tarah Pollock. 4/5/19 Brothers Paranormal starts rehearsal in NYC, Roy plays "Visarut," from a script written by Prince Gomovilas, directed by O'Neill fellow winner Jeff Liu. World Premiere date set for May 1st, 2019. 1/2/19 Rehearsals start for the World Premiere of Man of God at East West Players. Show opens with previews January 31st! 11/20/18 Roy books a lead role in the new East West Players World Premiere of "Man of God" starting rehearsals in January. This is Roy's first show at the nationally acclaimed Asian American Theater! 11/5/18 Roy books a commercial. Can't say what it is! 10/5/18 Roy plays Oliver Lynton-Wolfe at the Future of Storytelling event in NYC. 9/23/18 Roy plays Henry Fook Chu in the Living History "Immigrants Story" live event at Angelus Rosedale Cemetery for the West Adams Historical Association. 9/8/18 Roy books Comcast Xfinity commercial! 9/1/18 Roy books Premenstrual Margot, a Chapman thesis film from Vanessa Csordas-Jenkins. He plays the main character's father. 7/11/18 Roy books Ingress Prime, an augemented reality game from Niantic makers of Pokemon Go. He will be playing the esteemed physicist Oliver Lynton-Wolfe! 6/28/18 No Shelter Here, directed by Cheyann Reagan, a film about a homeless man adopting a young girl, is released on Youtube. Roy plays the lead character. Link to film in "Media" section! 6/25/18 Roy shoots Guest Star on new series, Baker's Dozen, created by Jessica Richmond, starring Gabby Kono! 6/20/18 Roy's film After the Rain, directed by Daniel Bonjour, is available on Amazon Prime for free viewing for subscribers! 6/15/18 Roy books an immersive live role in the augemented reality project, Ingress from Pokemon Go! creators Niantic. 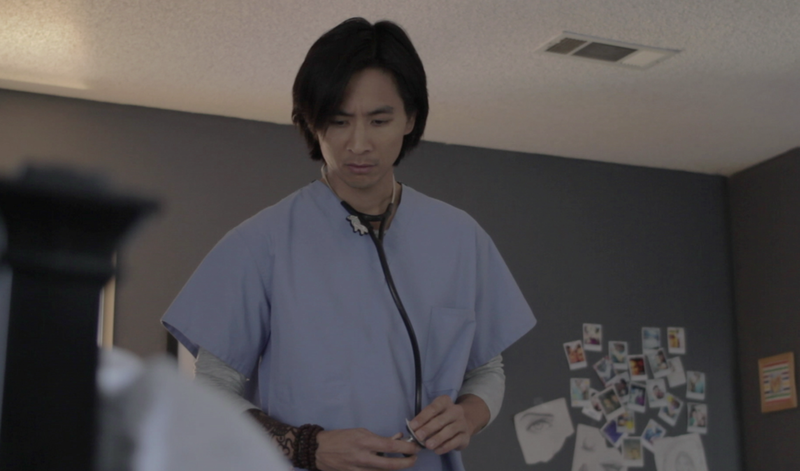 6/10/18 Anomaly, in which Roy plays the lead character, screens at TFT Film Festival. Film directed by Brian Sharp. 5/15/18 Roy books You're Kiddin Me, a new show on Facebook Watch. 4/15/18 Roy books Station 19, Shonda Rhimes spinoff on ABC. 12/15/17 Roy books The Heart of Winter, an immersive musical written and scored by composer Rolfe Kent (Downsizing, Sideways). 10/9/17 Roy begins production in the leading role on ANOMALY, a UCLA Thesis short film by Brian Sharp. 9/25/17 SON OF MAN, Roy's new musical, opens Sept 29 Friday and continues on Sept 30th Saturday. For those outside of California, Youtube LIVE will be broadcasting the Sept 30th show. Click here for "tickets". 9/25/17 Roy's film After the Rain (click for link) available on Amazon Prime! 9/25/17 Roy's commercial (click to see) with Jane Seymour starts airing! 9/16/17 Roy books a project from the Ken Blanchard Company and Upper Diamond! 9/12/17 Roy books a new HULU show! (NDA prevents further specifics.) Airing details forthcoming. 7/8/17 Rehearsals begin on for the musical SON OF MAN, set to go live October 2017! 7/1/17 Roy books a lead character in the multimedia project RED HOUSE, from Chris Cote and Dayle Kerry (see sample above). 5/24/17 Roy books the leading role of Yesu in SON OF MAN, a new musical based on the life of Jesus. Ezekiel Theater Company. 5/15/17 Roy books CONSCIENCE, a short film by Chinese director Gengru Liu. 4/25/17 Roy books and voices a recurring character in the new animated pilot, "The Improbables," created by writer/producer Marc Sotkin (The Golden Girls). 3/22/17 Roy acts in Michelle R. Jackson's award-winning film, ANOTHER SLAVE STORY. Winner of two festivals so far. 3/21/17 The Vanished, a film by Kate Rees Davies, screens at Women's International Film Fest, it's 20+ screening! 8/27/16 Roy plays the lead role in the comedy "I Don't Understand Women" pilot, shot for Resonant Entertainment. 5/10/16 AFTER THE RAIN, (Roy is a supporting actor) wins Honorable Mention at Buffalo Niagara Film Festival! 4/15/16 WATCHING OJ, nominated for four STAGE RAW theater awards, including BEST PRODUCTION. Roy plays Derek in the world premiere of David McMillan's play at Ensemble Studio Theater/LA. “Meet the Cast” feature on Brothers Paranormal on BROADWAY WORLD. Roy’s new play, Brother Paranormal, being announced in PLAYBILL. A stellar review for Roy’s new play, the World Premiere of Man of God ! UCLA Bruin feature article 2019 The UCLA Bruin profiles the creative team of Man of God, featuring Roy as a graduate of UCLA Radiation Oncology. 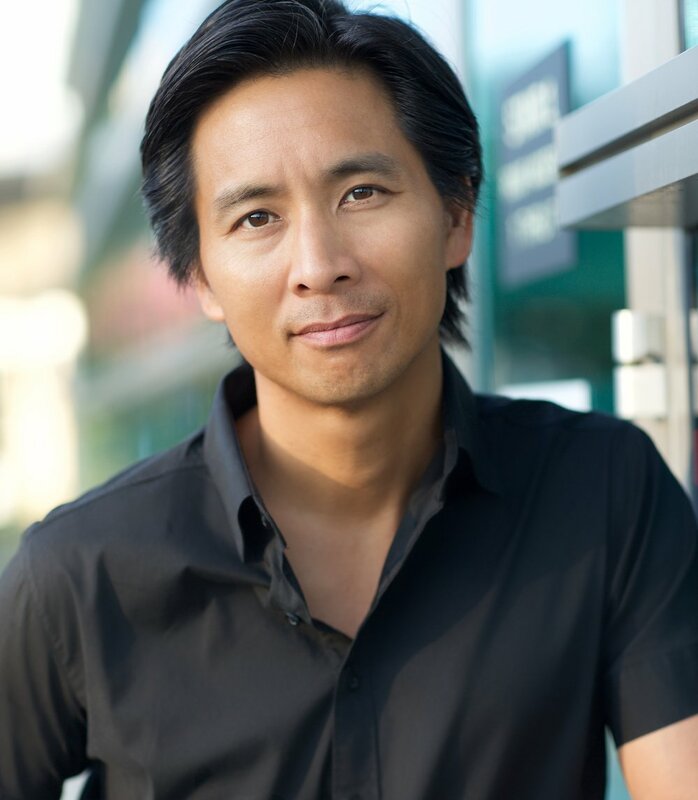 Asian American podcast with Ken Fong 2019 Enjoy this entertaining interview with Ken Fong, a progressive pastor who questions Roy about his healing work, his acting work and how he got out of religion class in high school. Man of God press release 2019 East West Players announces that Roy is part of the cast of the World Premiere play by Anna Moench. 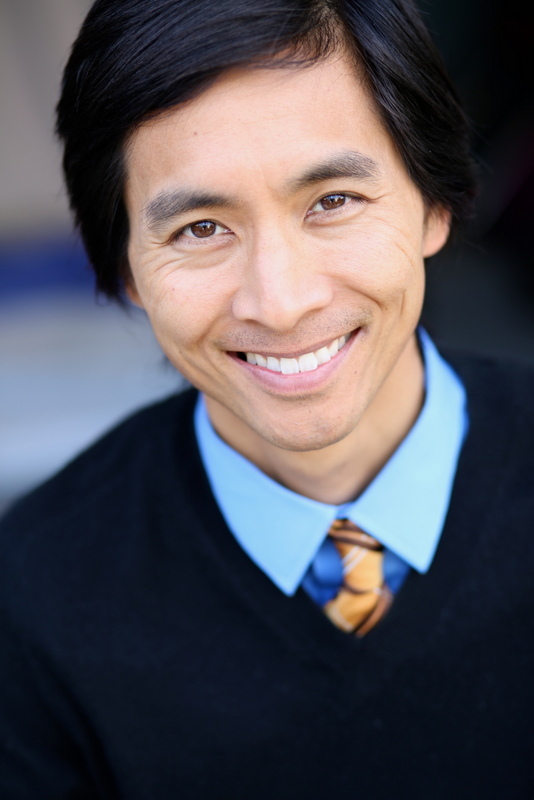 The New Hollywood / "TNH Amazing Man Series Featuring Roy Vongtama"
Westside People Magazine / "ROY VONGTAMA: Actor, oncologist, spiritual warrior"
Jade Inspiration / "Houses of Health- Meditation with Roy Vongtama"
For bookings or inquiries, please contact Daryn Simons.